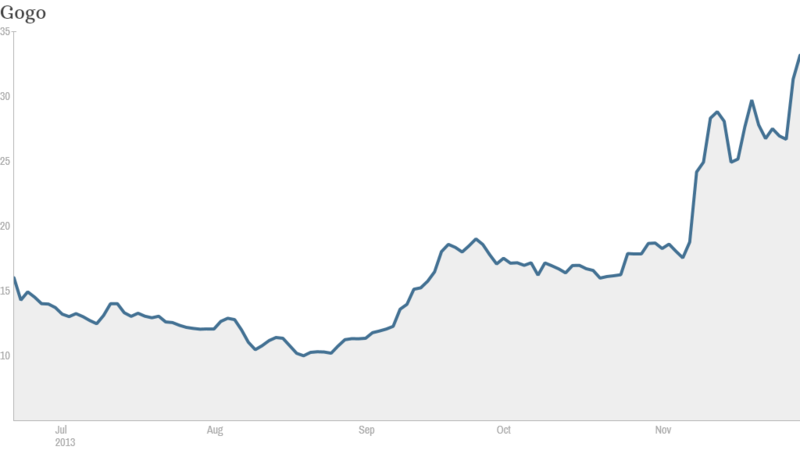 Click the chart to track Gogo's stock. Gogo, the in-flight wireless Internet provider, has been flying high ever since it went public in June. Just this week Gogo announced plans to launch a new international service early next year. And its stock soared more than 27% in two days. Gogo (GOGO) shares have more than doubled since its June IPO, making it one of the hottest stocks on the Nasdaq. But not everyone is jumping on board. This week's announcement is "a positive," said Jonathan Schildkraut, an analyst with Evercore Partners. "But [it] doesn't move the needle in the grand scheme of things," he added. Schildkraut said Gogo is moving in the right direction but the recent momentum is being driven by a so-called short squeeze rather than fundamentals. In such a scenario, traders who are shorting the stock -- betting on a price decline by selling borrowed shares -- need to cover their losses. And that often leads a stock to pop. While the most recent rally may cool, Gogo's future looks bright. The company cleared a major milestone by getting approval from the FAA to allow them to add their technology to existing Boeing 747's, essentially clearing the way for international service. "It's a big hurdle to get through," said Gogo spokesman Steve Nolan. "It's a big thing for Gogo." Gogo also enjoys an enviable position, holding an 80% market share of commercial aircraft outfitted with wi-fi in the United States, Schildkraut said. And while competitors Panasonic (PCRFF), Row 44 and Viasat are vying for in-flight wi-fi space, many of Gogo's clients -- which include Delta (DAL), American (AAMRQ), and Virgin America -- have contracts until 2018, according to Schildkraut. Panasonic has a contract with United Airlines (UAL) and Row 44 provides wi-fi to Southwest Airlines (LUV). Viasat (VSAT)plans to roll out wi-fi on JetBlue (JBLU) in 2014. Gogo still has a ways to go. 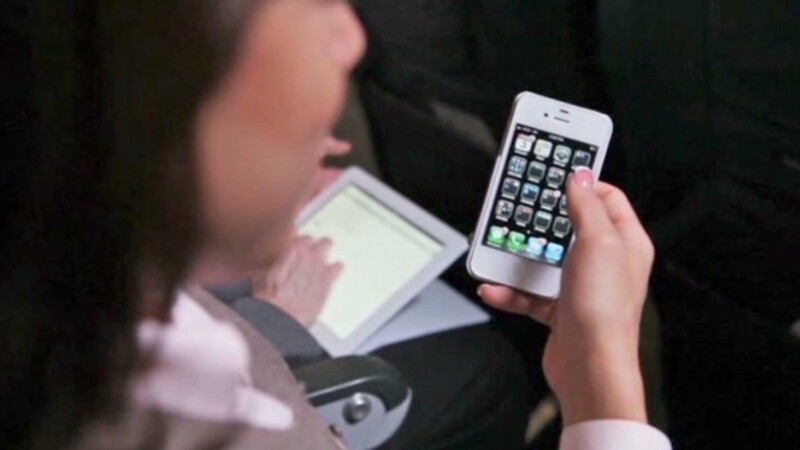 Its current service on many domestic flights uses ground-to-air technology that lacks robust bandwidth. But the company has been upgrading its technology, and will soon begin equipping aircraft with satellite components for its international push. And Schildkraut believes Gogo's satellite technology is superior relative to other satellite providers. And though it's had an impressive ride so far this year, Gogo is not alone. Other big winners this year on the tech-heavy Nasdaq include Facebook (FB), Netflix (NFLX), and Tesla (TSLA).